In order to resolve this contradiction, we removed the furniture and instead transformed the surface of the deck itself into subtly integrated surfaces for sitting, lounging, and entertaining. 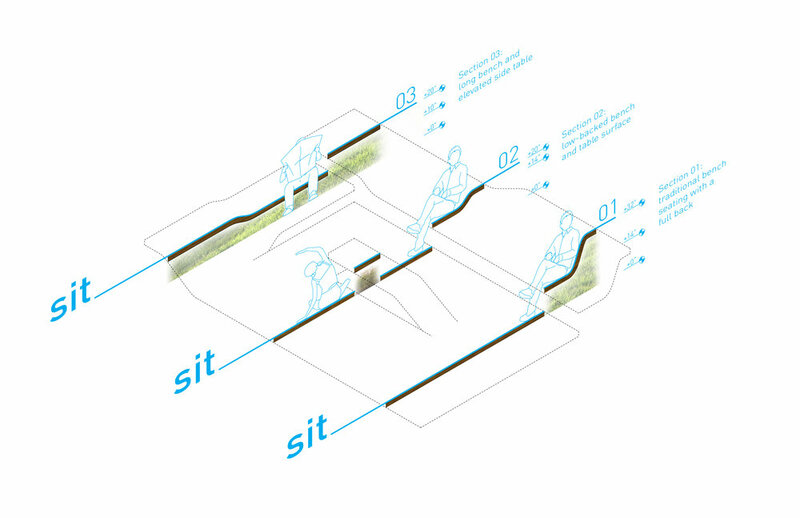 Body positions are each assigned a curvature and woven into the deck as warp and weft, allowing users to rotate 90 degrees and sit up or lie down at any point. Due to the site’s location in a historic district and adjacent to a park, innovative design solutions were unlikely to be approved. 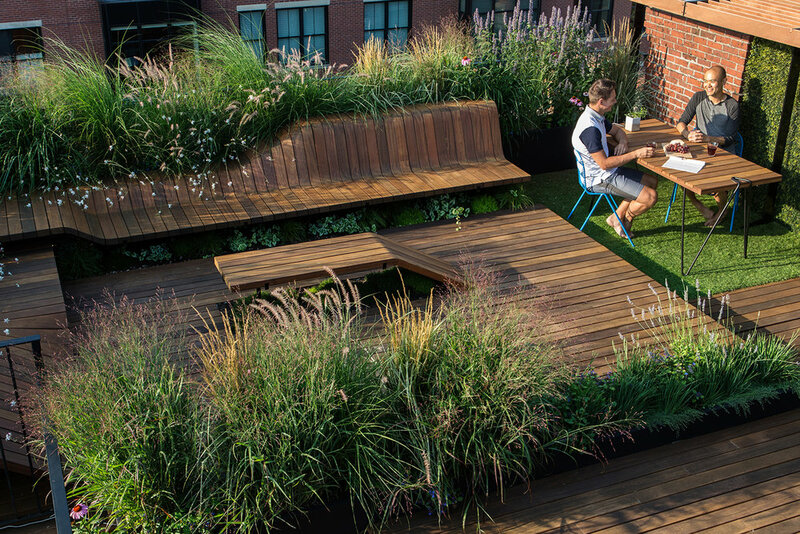 To address both the programmatic need for fluid surfaces and approval constraints, the roof deck was treated as an entirely modular furniture assembly using no screws or nails, which sits atop a previously approved blank deck surface. The assembly is removable, and is not attached to the surface below. Instead, pieces slot together as with traditional Japanese wood construction. This also addressed the client’s desire for easy repairs as damaged pieces can be removed and replaced without any tools. Sapele was selected as the wood species used due to its rot resistance, sustainability, workability, and appearance. Japanese wood joint geometries were adapted for CNC milling and serve as robust, durable connections to last through harsh winters. Integrated grooves and tracks are also CNC milled into each wood piece to slot onto supporting modular metal frames and receive integrated LED lighting. A pergola was constructed out of marine grade Sapele plywood slats, and native grasses, mosses, and perennials were selected to provide a maintenance free and durable garden. In this project, we sought to combine digital tools with traditional craft and materials to produce a space that is both innovative and subtle.